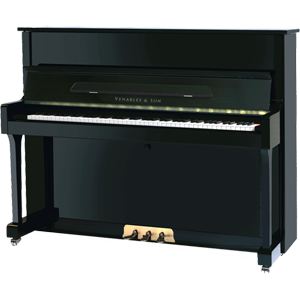 The Studio 120 upright piano - traditionally designed with high grade components at an affordable price. Features include a clear and singing treble register, warm middle and rounded bass with a responsive and precise action. Sleek, clean lines make the Studio-120 an aesthetically-pleasing instrument that will be an asset to both modern and traditional homes.